Robroy Enclosures™ will be exhibiting its AttaBox® brand at the International Air-Conditioning, Heating, Refrigerating Exposition (AHR Expo). Come visit us at booth # 5497 January 22nd - 24th. 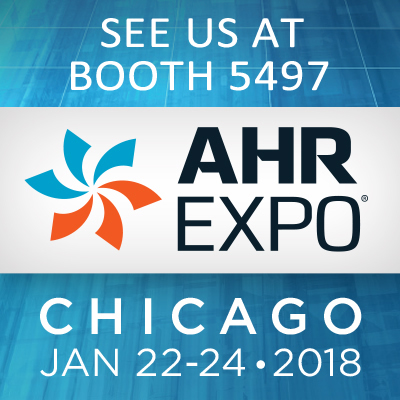 The AHR Expo, which started in 1931 as a heating and ventilation show, has grown into the event of the year for the HVACR industry. The 2018 Show will be held in Chicago, IL. The AHR Expo is co-sponsored by ASHRAE and AHRI, and is held concurrently with ASHRAE’s Winter Conference. Start the new year off right and see how AttaBox offers Proven Protection by Design!